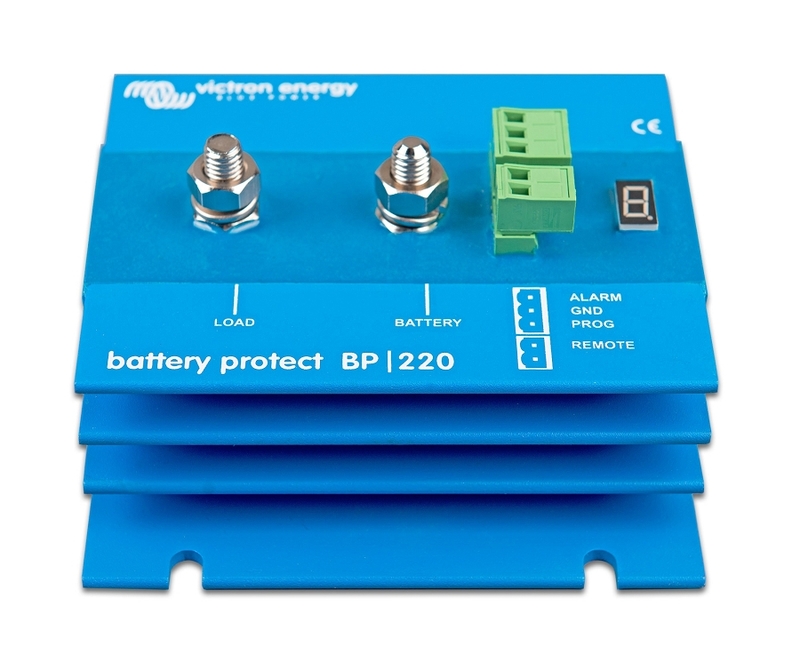 The BatteryProtect can be set to engage / disengage at several different voltages using the seven segment display to indicate which setting has been chosen. For Li-ion batteries the Battery Protect can be controlled by the VE.Bus BMS. The Ultra low current consumption is important in case of Li-ion batteries, especially after low voltage shutdown. 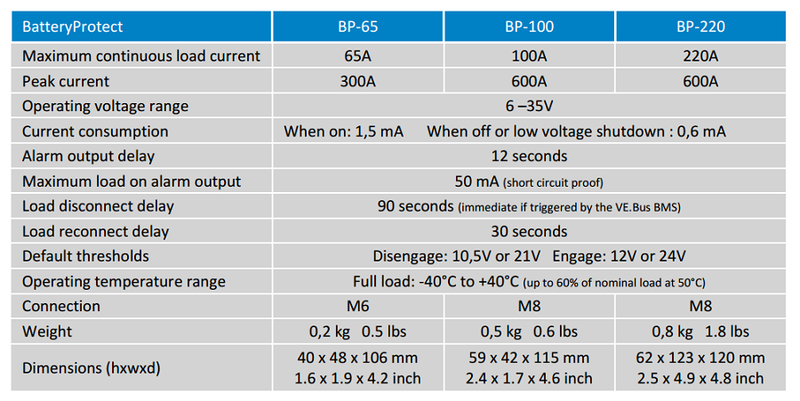 To prevent damage to sensitive loads due to over voltage, the load is also disconnected whenever the DC voltage exceeds 16V or 32V. This is a solid state device using MOSFET switches instead of relays and so is ignition protected. 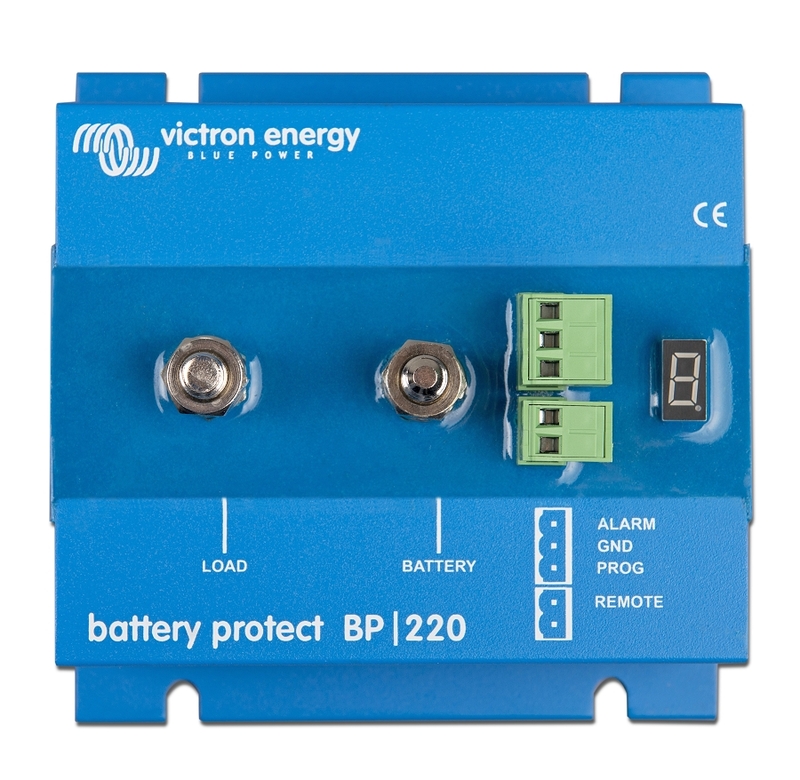 The alarm output is activated if the battery voltage drops below the preset disconnect level for more than 12 seconds. Starting the engine will therefore not activate the alarm. The alarm output is a short circuit proof open collector output to the negative (minus) rail, max. current 50 mA. The alarm output is typically used to activate a buzzer, LED or relay. The load will be disconnected 90 seconds after the alarm has been activated. If the battery voltage increases again to the connect threshold within this time period (after the engine has been started for example), the load will not be disconnected. 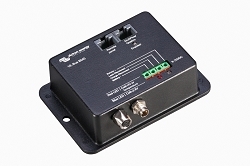 The load will be reconnected 30 seconds after the battery voltage has increased to more than the preset reconnect voltage.